Can Taylor King Law Help You? Have you ever been faced with a legal problem but felt unsure of where to turn? Here at Taylor King Law, we’re available to help anyone with legal needs! You may have guessed from our phone number (1-800-CAR-WRECK) that we help car crash victims across Arkansas, but we do much more than that. The next time you face legal challenges in Arkansas, give us a call. 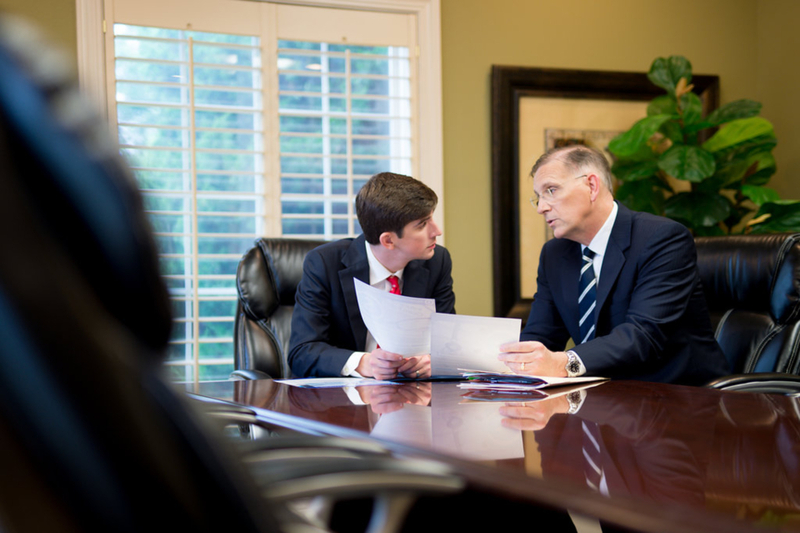 If we aren’t best suited to handle your case, we’ll gladly refer you to someone who is. It’s what On Your Side, By Your Side means. Keep reading to learn more about how Taylor King Law can help you. Crashes happen each day on Arkansas roads, but that doesn’t make it any easier when you become the victim of one. An auto accident can wreak havoc on your life, leaving you without a car or unable to work, with serious injuries and bills piling up. But if the other driver was at fault, a personal injury lawyer like Taylor King can ensure you receive a fair settlement. We’ll handle the legal proceedings and negotiate with your insurance company along the way, as well. Big Truck Accidents: With their heavier loads, tractor-trailers can be much more dangerous in a collision. Whether you’re a truck driver or were injured in an accident involving an 18-wheeler, we’re committed to being on your side to help navigate the entire legal process. Motorcycle Accidents: Though they’re often overlooked by other drivers, motorcycle drivers deserve the same consideration on the road and the same legal representation in court. Drunk Driving Accidents: Drunk drivers may be charged criminally, but if you were the victim of one, you may want to file a separate civil suit. Through a civil suit, our injury lawyers can help you seek compensation for your injuries, bills, and pain and suffering. Pedestrian Accidents: Pedestrians have rights, too. Arkansas has laws in place to protect pedestrians, but those laws are often misunderstood. If you were struck by a vehicle while on foot or while riding a bicycle, you may want to take legal action. The name may speak for itself. “Slip and fall” or “trip and fall” injuries occur when you slip, trip, or fall as the result of hazardous conditions on another person’s property. These accidents can cause severe injury, and at Taylor King Law, we take that seriously! If your fall was caused by dangerous property conditions, the landowner or business owner may be responsible. Death is always painful, but even more so when it’s the result of another person’s negligence. If you are dealing with the loss of a loved one caused by someone’s wrongful actions or negligence, you may have legal options. Our attorneys will help determine whether you should pursue a wrongful death case to seek closure and compensation for the damages your family has suffered. When a healthcare provider causes injury to a patient by performing or neglecting to perform an act that deviates from the norms of care, this is known as medical malpractice. The bar is set high for proving medical malpractice in Arkansas; cases must meet a set of strict criteria. We have qualified, experienced medical malpractice attorneys at Taylor King Law who will help you determine whether to pursue a case. Suffering a traumatic brain injury (TBI) can be a life-altering event. Brain injuries, unfortunately, are difficult to detect; and symptoms can oftentimes wait to reveal themselves. If you suspect you or someone you love may be suffering TBI, the first necessary step is to seek timely medical attention from a professional. The next step is to consult an experienced attorney whom you can trust. Although drugs must be approved and regulated by the FDA, defective drugs cause tens of thousands of deaths each year in the United States. These defects may be caused by a design flaw, mistakes during the manufacturing process, or mislabeled warnings on the package. Drug defects can cause serious injury or even death, and drug manufacturers must be held accountable. Taylor King Law can help you navigate the legal landscape as you seek justice for your family. If you were injured because of a flaw in a product’s design, manufacturing, or marketing, you may have legal rights to compensation. These are known as defective products, and they are unfortunately very common; you may have noticed several recent recalls for defective products in the United States. A defective product lawyer at Taylor King Law will defend your consumer rights and help you get compensation for your pain and suffering, medical bills, and lost wages. Mesothelioma is an aggressive cancer, and it is a tragedy for the people who are impacted by it. Mesothelioma is caused by exposure to asbestos, a material that was once commonly used in building materials, insulation, and auto parts. Although large-scale asbestos removal efforts have been in place for decades, scores of Arkansans have already been exposed. Please consider contacting Taylor King Law right away if you or someone you love has been diagnosed with mesothelioma or exposed to asbestos. Victims of this disease deserve compensation for cancer treatments, for their pain and suffering, and to secure their family’s future. We have built an extensive database of the working conditions, products, and materials associated with asbestos exposure, as well as defendants and job sites that have already been identified. At Taylor King Law, we’re available 24 hours a day, 7 days a week. Get started with a free, no-obligation case evaluation today. Call 1-800-CAR-WRECK (227-9732) or visit our website at www.taylorkinglaw.com to submit a case form. We’ll be On Your Side, By Your Side…no matter what legal problems you’re facing.